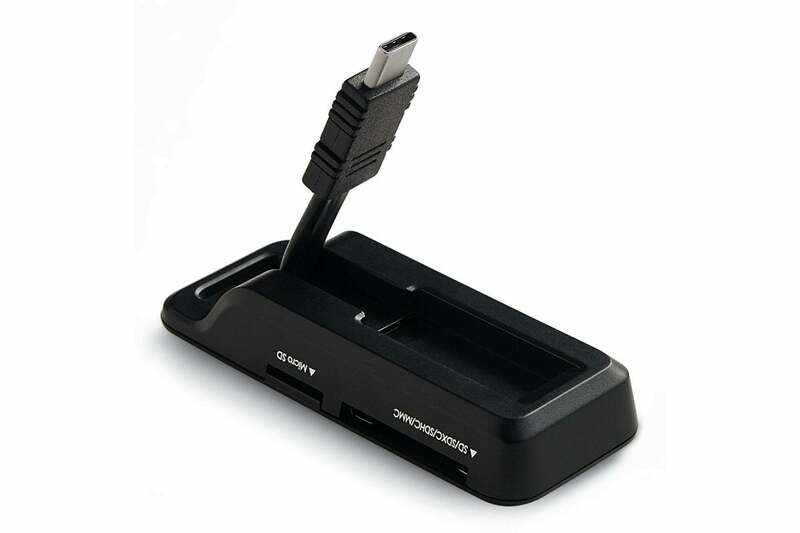 The Verbatim USB-C Pocket Card Reader support UHS-II speeds, is fairly compact, and costs just $17 from Amazon. That makes for a winning combination. When we compared a host of USB-C memory card readers, the SanDisk Extreme Pro UHS-II USB-C Reader came out as the fastest choice. It supports UHS-II SD cards, which incorporate two rows of contacts to read data at a theoretical maximum of 312 MBps. (See our SD Card Explainer for details on the many acronyms and specifications of these tiny little memory cards.) The downside is that it’s $47. Our runner up, the Cable Matters USB 3.1 Type-C Dual Slot Card Reader for Micro SD/SDHC/SDXC Memory Cards, costs $12, but doesn’t support UHS-II. In our speed testing, the SanDisk reader still bested the Verbatim, but not by much. Transferring 8.43GB of still photos (raw and JPEG images, 463 files) from a SanDisk Extreme Pro UHS-II card rated at 280 MBps to a 2016 15-inch MacBook Pro with Touch Bar took an average of 47 seconds, or about 179 megabytes per second (MBps). Copying 8.21GB of video (6 files) took an average of 37 seconds, or about 222 MBps. To compare, moving the same data using the SanDisk reader took 44 seconds for still photos (about 192 MBps) and 32 seconds for video (about 257 MBps). If you use both SD and Micro SD cards in your photography or videography, the Verbatim card accepts both; the SanDisk reads only SD cards. 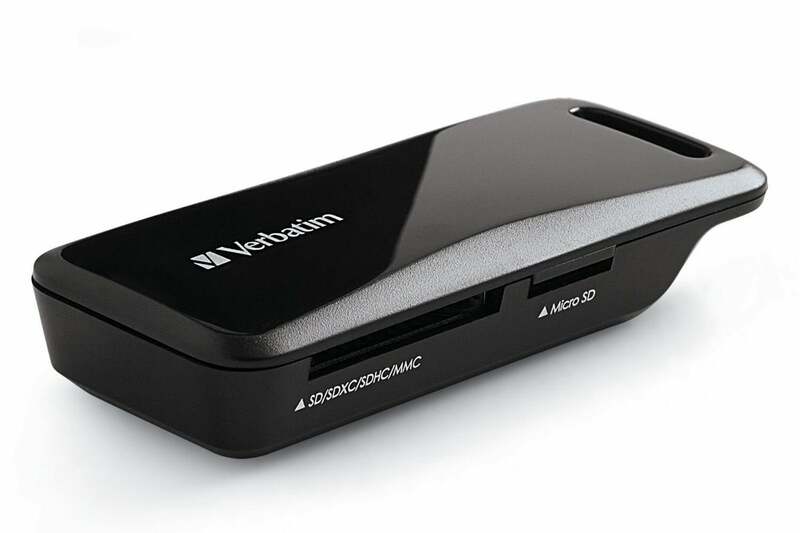 The Verbatim’s design is a bit bulky, with a short USB-C cable that pops out from the bottom, so it won’t be the best looking USB-C adapter in your bag, but it won’t take up too much extra space, either. You no longer need to pay a premium for UHS-II speed. Although the SanDisk reader will do the job a few seconds faster than the Verbatim reader, the latter is the better deal for the price.